It’s been two years since Vince McMahon revived Extreme Championship Wrestling (ECW) and billed it as the third brand in his professional wrestling/sports-entertainment empire, the World Wrestling Entertainment (WWE). Now with the course this ECW has taken, I can finally say that the ECW programming we see on TV today has completely differentiated itself from the original. Not that I’ve seen the original program though. When WWE acquired ECW and its video library in 2003, it later began reintroducing ECW through a series of DVDs and books they produced. The popularity of the ECW merchandise prompted them to organize a pay-per-view entitled ECW One Night Stand in 2005. 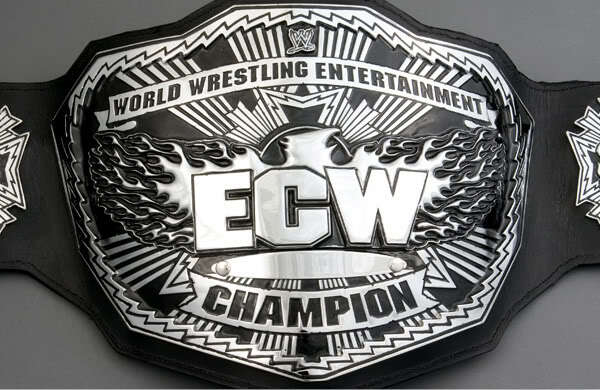 At the second One Night Stand, and an ECW episode after the pay-per-view, he re-debuted the original ECW World Heavyweight Championship belt, depicted below. And now, we go to the present. Last Tuesday on the Sci Fi channel, ECW’s on-screen manager Theodore Long introduced the new look of the ECW Championship belt, which is currently held by Mark Henry. 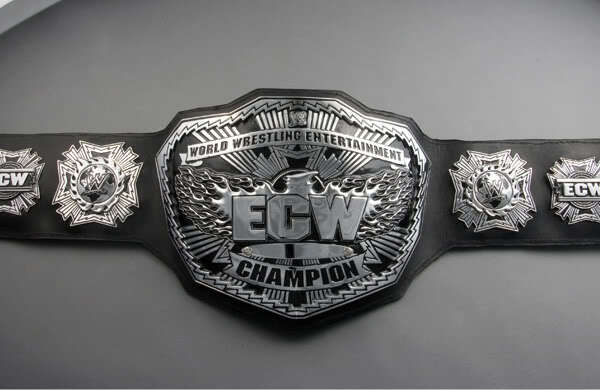 Take a look at the new ECW title. The image change for the ECW title is the ultimate statement that says the old ECW is gone for good. But I say it’s about time they changed the look of that title. In some way I find it distasteful for them to continue showcasing the original ECW belt on air while their programming has drastically differentiated itself from the “extreme” nature of the original ECW. I mean, you can’t even say that today’s ECW is a shadow of the original (but I can say so for TNA). But then again, I applaud the WWE management’s efforts to put their employees’ welfare on top of their priorities; the abandonment of the original ECW’s “let all heck break loose” rule, where all contested matches are more like “anything-goes” street brawls than traditional wrestling matches, best exemplifies their concern. As far as the WWE is concerned, they just want to provide the best kind of entertainment for us; to their fans, at least.